SUEZ’s ZLD systems eliminate liquid waste streams from your plant and produce high purity water for reuse. In many cases, your plant’s water consumption can be reduced by up to 90 percent—saving money and helping to protect the environment. You may even be able to capture valuable by-products and sell them to offset your costs. 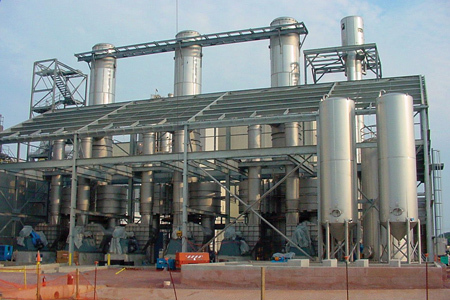 With more than 35 years of experience in the design, delivery, commissioning and service of ZLD systems, SUEZ provides a comprehensive portfolio of technologies for ZLD applications, including brine concentrators, evaporators, and crystallizers. Proven performers and highly reliable, SUEZ ZLD systems offer 95% availability and are up to 30 percent more energy efficient than conventional designs. 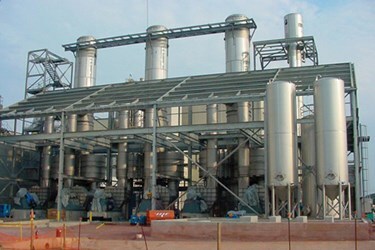 These technologies can often be combined with other SUEZ equipment, such as ultrafiltration (UF), reverse osmosis (RO), electrodeionization (EDI) and ion exchange to provide the optimal solution. Our specialists can tailor a system to fit your wastewater characteristics, flow rates, and end-product requirements.